Three years ago, the Phillips Collection received four watercolors by the German-American painter, printmaker, and illustrator Lyonel Feininger. 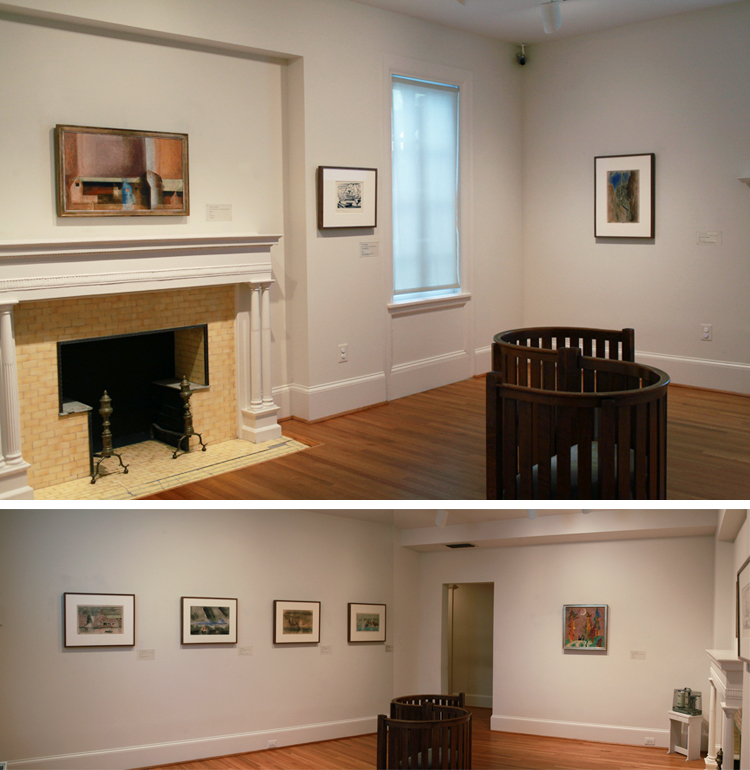 The works came to the Phillips as part of a promised gift pledge made by Dr. Bernhard and Marlene Witkop in 2005. They entered the museum’s collection after Dr. Witkop’s death at the age of 93 in 2010: Perfume and Sweet Candy, 1948; Blasiuskirche Nordhausen, 1932; Steamers with Smoke Banner, 1951; and Schiffe, 1943. Dr. Witkop was a German-born organic chemist who had worked at the National Institutes of Health for more than 35 years. The Witkop’s Feiningers joined three Feiningers purchased by Duncan Phillips in the 1940s: Village, 1927; Spook I, 1940; and Waterfront, 1942. In 2012 a beautiful woodcut, Cruising Sailing Ships II, 1919, was added through a gift from Gail and John Thomason in memory of Ritalou and Robert O. Harris. Duncan Phillips often strived to have “units” of works by a single artists, and the museum’s newly formed unit of eight Feininger works are now on view in the Phillips House. Lyonel Charles Feininger (1871–1956) was born in New York City as the son of German-American violinist and composer Karl Feininger and American singer Elizabeth Feininger. In 1887, at the age of 16, he traveled to Germany to study art and remained there, working as an artist, art teacher, and caricaturist until 1937, when the Nazis declared his works to be “degenerate,” forcing him to return to New York. In 1938 Feininger was asked to design two murals for the exterior of the Marine Transportation Building at the New York’s World’s Fair. It was his first opportunity to make his work known to a broader public in the United States. Feininger had been fascinated by ships as early as the 1880s when he would draw boats on the Hudson River, and later in Europe during visits to the Baltic Sea. Several of the water colors in the Phillips’s collection are a testament to Feininger’s lifelong attraction to nautical themes. Rythme Couleur (1961) is the first work by Sonia Delaunay (1885-1979), a seminal figure in 20th century modernism, to enter The Phillips Collection. The gouache on paper is a gift from Lillianne Litton, a longtime supporter and friend of the Phillips. Delaunay and her husband Robert (1885-1941) invented a variation of cubism (called “orphism”) around 1911-12 based on simultaneous color contrasts and geometric patterns. Sonia dedicated her art to the fundamental idea that abstraction is a new reality that need not imitate the existing world. With its emphasis on geometry, color, and light, this 1961 gouache captures the essentials of her style. An intuitive artist for whom color was primary and rhythm the structural core of her compositions, Delaunay’s painting fits seamlessly with other works in the collection that emphasize similar aesthetic qualities, especially works by Kenneth Noland, Alma Thomas, and Leo Villareal. The catalogue also presents Head of Conservation Elizabeth Steele’s fascinating discoveries from the painting’s recent conservation. National Gallery of Art object conservators Shelley Sturman and Daphne Barbour discuss Degas’s sculptures, and choreographer Christopher Wheeldon reflects on Degas in the context of ballet today. 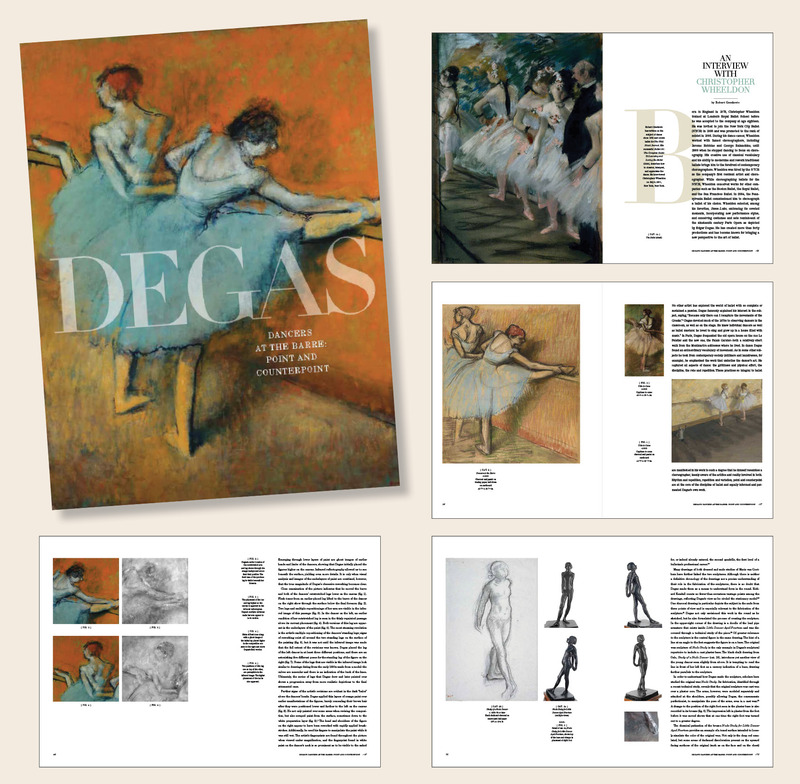 Full-color reproductions of all 30 works in the exhibition are accompanied by images of related works, notes from the technical analysis of additional works by Degas in the Phillips Collection, and a detailed chronology of the artist’s life. Read all about the impressionist master’s complex exploration of the figure and devotion to dance. For the ballet lover on your list, a special “Degas Holiday Package” including a pair of tickets to the exhibition and one copy of the catalogue (hardcover, 148 pages) to take home is now available for a special rate of $60 ($54 for Phillips members) online and at the Phillips admissions desk.